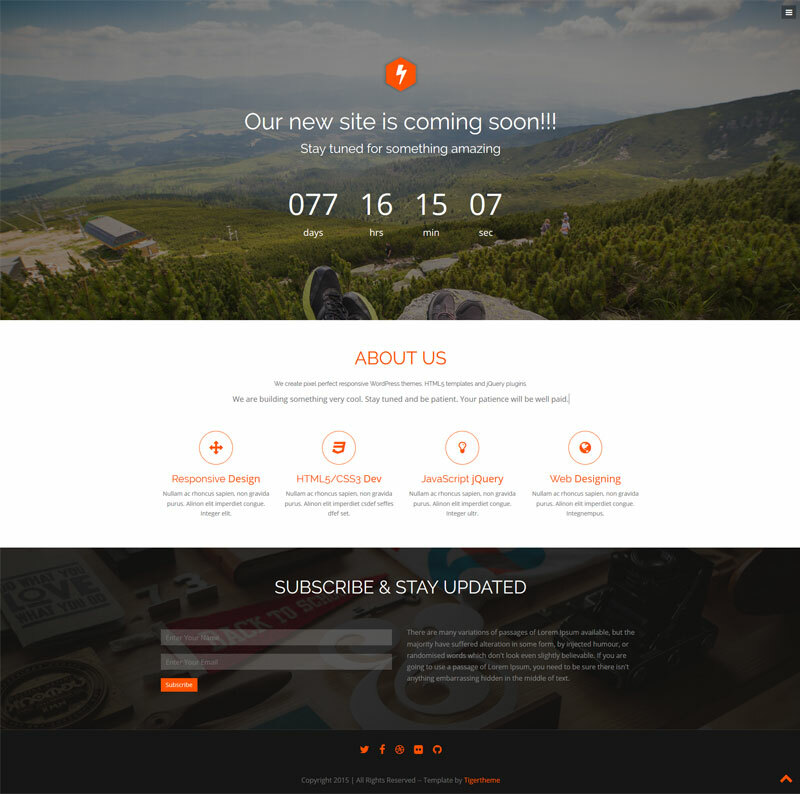 Druvo is a minimal, responsive, business coming soon / landing page / one page HTML5 template based on Bootstrap 3.2.0. This theme is clean and fast, easy to customize multipurpose, includes Services and Contact form, 400+ Font Awesome icons, custom backgrounds and much more! Dhrubo is a clean and minimal HTML template that is fully responsive. Modern and stylish design makes it perfect for creative agencies and other types of business. It was carefully designed to convey perfect elegance through user friendly experience and customization simplicity. Dhrubo is a fully responsive template and will look fine, regardless of the device it is viewed on (desktops, tablets and smartphones). We integrated a smart sizing engine for a perfect display of theme in all window sizes. Template uses the latest CSS3 animations making the overall experience smooth. It's a great way to grab the viewers' attention towards your content. Set the animation type, direction and speed to display the content just like you want.